I played in my makeup again today and went for a peachy-brown look using my Too Faced Sweet Peach eyeshadow palette. I went for a look without any eyeliner and I love how emphasized the lashes look! I think I may start to do more looks without any eyeliner. I just look how clean the eyes look. Don't get me wrong, I still love a sharp winged liner that looks like it could cut you, but this subtle focus on shadow blending, color, and lash length has given me life! My favorite foundation at the moment is between Too Faced Born This Way foundation, and Estee Lauder's line of Double Wear foundations. I can't decide which one I like more because it just depends on how my skin wants to behave on a certain day. I've also been very happy with mixing the two foundations to totally match my skin needs and color at the moment. Priming your skin is very important and I am not a fan of the typical primer. I prefer an oil based product that absorbs nicely such as Yves Rocher's line of facial oils. I prime my skin by washing it, applying my facial oil as a moisturizer and then applying my foundation and continuing my makeup routine. I may not be a fan of facial primers but I am a fan of eyeshadow primers from time to time, but I did not use any eyeshadow primer today. Check out the products that I used and let me know if there are any products that you are currently loving to use in my comments section. Barcelona, Spain was the second and final stop on our overseas family vacation for the summer of 2018. What a city Barcelona is! We fell in love as soon as the Barcelona sun touched our smiling faces. 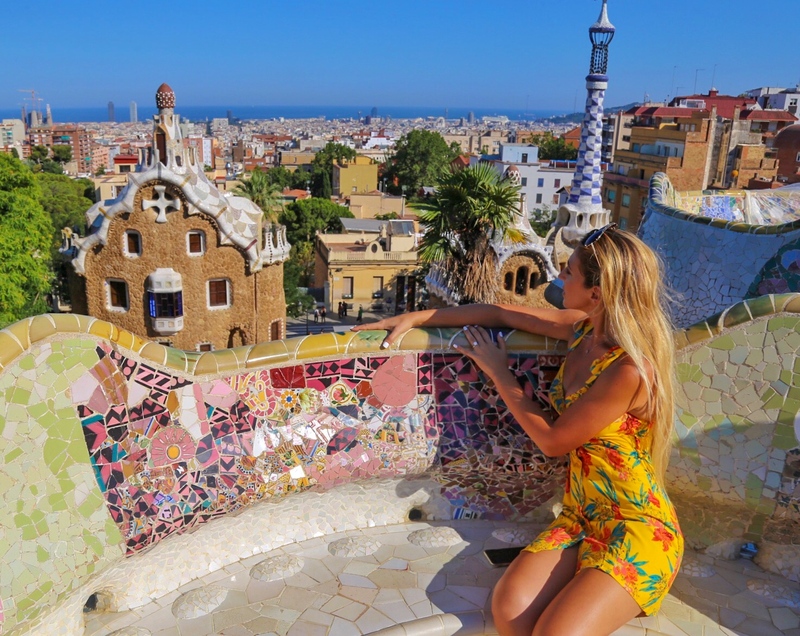 I say this because our first night in Barcelona was not so pleasant, and I'll tell you about our experience so that you know what to expect in case you arrive to this beautiful city on an evening flight. My family has become the "just go see the beauty in the world" family, and we have been making it a goal of ours to get out there and create memories together. This summer we decided to explore London, England on the first wave of our family vacation. This trip was booked through my favorite travel site which I have blogged about in the past. If you're interested in learning how you could get out there at an affordable price, click on the travel tab in my menu bar and check out my post about TripMasters.com titled - Travel the World For Less! Or you could click here for the post!